A book for nonbelievers who embrace the reality-driven life. We can't avoid the persistent questions about the meaning of life-and the nature of reality. Philosopher Alex Rosenberg maintains that science is the only thing that can really answer them—all of them. His bracing and ultimately upbeat book takes physics seriously as the complete description of reality and accepts all its consequences. He shows how physics makes Darwinian natural selection the only way life can emerge, and how that deprives nature of purpose, and human action of meaning, while it exposes conscious illusions such as free will and the self. The science that makes us nonbelievers provides the insight into the real difference between right and wrong, the nature of the mind, even the direction of human history. 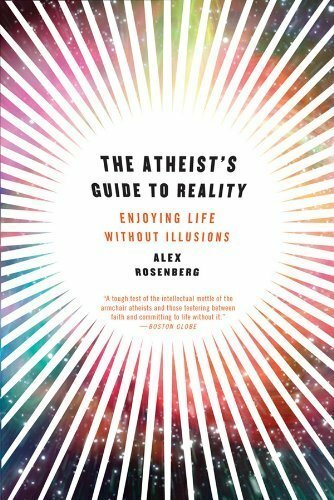 The Atheist's Guide to Reality draws powerful implications for the ethical and political issues that roil contemporary life. The result is nice nihilism, a surprisingly sanguine perspective atheists can happily embrace. Sep 7 Economics--Mathematical Politics or Science of Diminishing Returns?